A small Viking sax (saex, scramasax) style utility knife. A handy little tool/eating knife. The sharp blade is 1060 high carbon steel with a full tang peened through the hardwood grip. 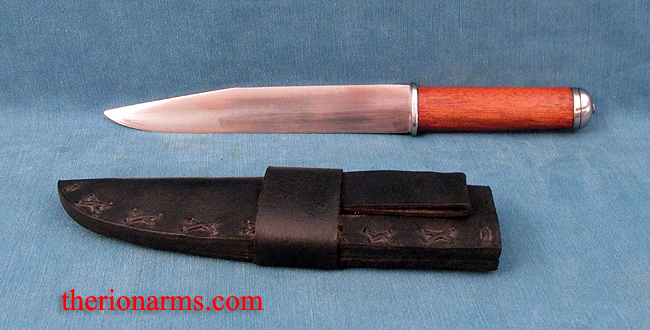 The sheath has dual loops so that the knife can be belt-worn horizontally or vertically.